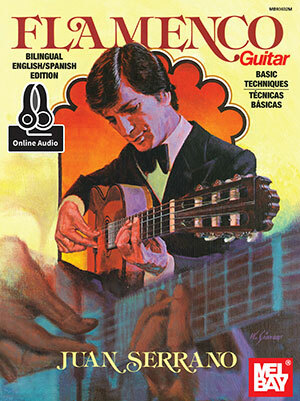 This book, written in both English and Spanish is the most authoritative method available on flamenco guitar technique. Juan Serrano is one of the world's premier flamenco concert soloist and is a seasoned teacher and performer in this vibrant, colorful musical genre. The text describes the history and development of flamenco music; teaches basic music theory; presents developmental studies on flamenco guitar techniques such as rasgueado and tremolo; and offers 14 exciting flamenco guitar solos. Written in notation and tablature. Includes access to online audio.